I am so ready for fall! Over the heat, but not ready for freezing winter...just lovely FALL! I think it is my favorite season. I really love fall fashion. There are so many options and looks. I love that fact that I can wear leggings, a t-shirt, some tall boots, a sweater and a scarf and be done. Cute and cozy (and easy)! Who's with me? i loooooooooooooove fall, especially in Colorado. Best. Season. Ever! 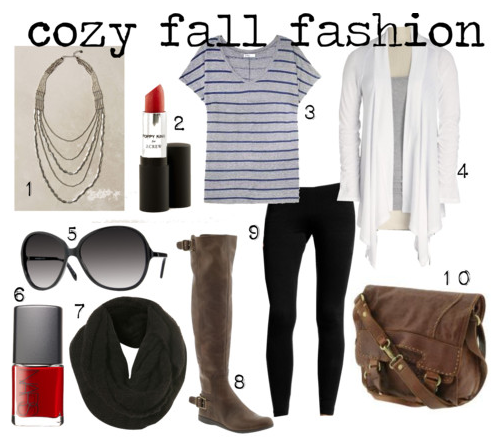 ahh, I love those nine west boots! I've been needing a good pair of riding boots.